Proverbs 19:21 "Many plans are in a man’s heart,But the counsel of the Lord will stand." I can remember as a child playing with magnets. One of my favorite experiments had to do with taking a piece of iron and filing off some flecks of metal. These "iron filings" would then be placed on a piece of paper, with a bar magnet placed underneath. To my amazement, the filings would suddenly be arranged in parallel lines that traced out the magnetic field lines of the magnet. When I would try other materials (such as an eraser or wood shavings from a pencil), the magnet had no effect. There was something about the metallic properties of the atoms in that metal that, when brought in contact with a magnetic field, caused the atoms to allign with one another. 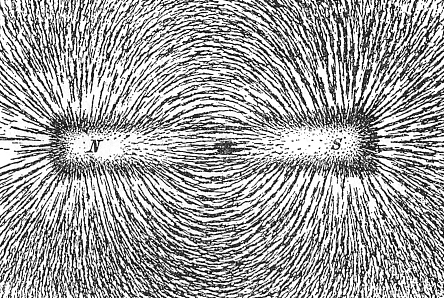 The question that always came to my mind was this: which was ultimately responsible for the lines of formation on the paper made between the magnet and the iron filings? Was it something about the metal itself, or was it the magnet underneath the paper? The answer to the question is that both needed to be present in order for the experiment to succeed. Take away the metal and replace it with wood or rubber, and the lines won't appear. Try to place iron-filings on the paper with no magnet, and you'll have clumps of filings with no discernable pattern. So, what is the point? When we consider God's dealings in our lives, the Bible reveals that His Sovereign will permeates all things. God as Sovereign and separate from creation exercises providence (i.e foresight) over inanimate and animate things. Governments, situations and human beings themselves are under the sway of the Sovereign ruler of the universe. God's power and authority determines the course and shape of all things. We would say that His influence is likened unto the magnet in our story. 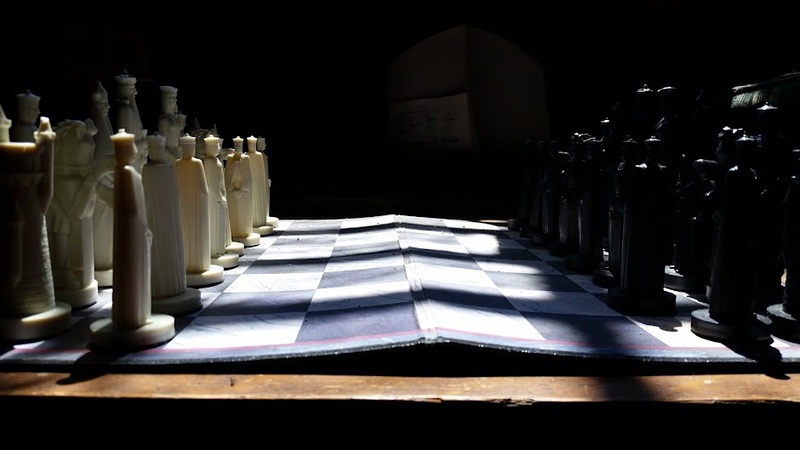 People on the otherhand are like the various filings on the sheet of paper we call history. Whenever God's influence and working is near them, will people respond? The one property people have that iron filings do not have is the ability to respond. Many factors such as trials and triumphs, relationships and rejections, personalities and choices are all factored together in how people will respond to the Lord. Lest the Spirit of God has worked in the hearts of people to allign their hearts, the unbeliever will be no more inclined to God than wood or rubber would be to a magnet. However, as people lessen their resistance and freely give themselves over to the influencing work of the Spirit, allignment occurs and the person willing chooses to fall in line with the magnetic field-lines of Grace that are at work all around us. As the Proverb up above reminds us: truly the plans of a man are many, but it is the Lord's Counsel that has the final word. Therein is no contradiction when it comes to God's purposes and our plans. Both God's Sovereignty and human responsibility are needed to make sense of what we read oftentimes in the Bible. God certainly has need of no one, and yet has chosen to include volitional agents (human beings) as the means to fulfilling His purposes. All we can say is that when we freely choose Him, it is due to His prevailing grace. When we choose to ignore His promptings, we have only ourselves to blame. May you and I, dear reader, yield to the Spirit's Sovereign working and fall in line with Him.